Established in 2012 by philanthropists and nonprofits on the Tuesday after Thanksgiving, Giving Tuesday is a day of generosity to kick off the end-of-year giving season. After two days of shopping for deals, why not a day to give back? This year, Youth in Arts is celebrating Giving TUNESday and dedicating all our fundraising on November 29 to our music programs for kids, from our PreK-5 music residencies for students with and without disabilities at multiple school sites to our `Til Dawn A Cappella program for dedicated teen vocalists. So help us celebrate Giving TUNESday with your support today! 1) DONATE at our special link right here. Help us make November 29 a day of generosity for all our music students! 2) Even if you can’t give yourself, help us spread the word! Post a link to this page on your own social media channels and let people know why you support Youth in Arts and music for kids. 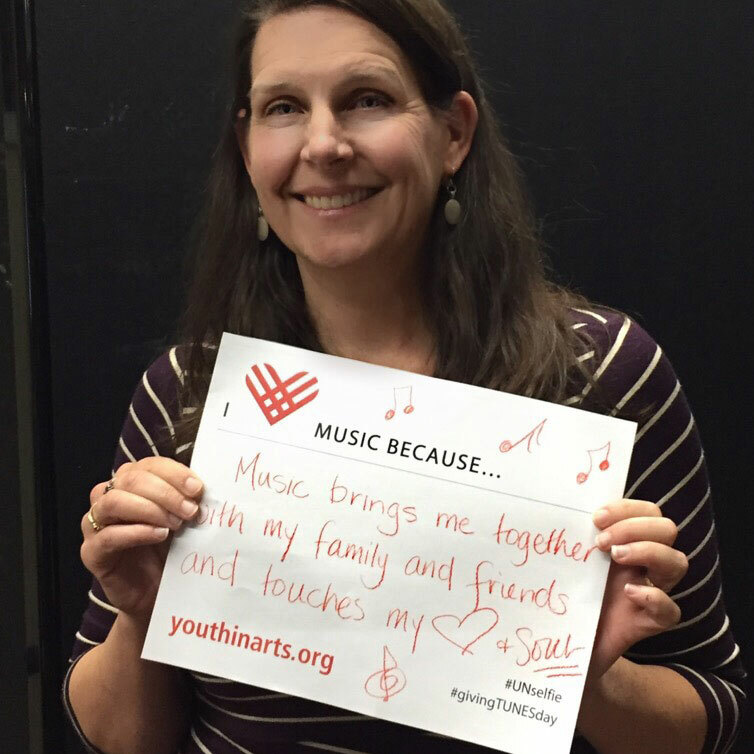 Use the hashtags #GivingTuesday and #GivingTUNESday to show you’re part of something bigger! To make your own, print and download our PDF template, fill it in and snap a photo of yourself holding it. Then post far and wide. That’s it! A fun easy way to help ensure kids get access to music education in our community. Thank you, and Happy Giving Tuesday!